Anne Frank [+ you} is a touring exhibition that looks at the life and death of Anne Frank during the Second World War, and relates it to contemporary discrimination, exclusion and other social issues facing today’s society. Having already spent time this year in Strabane as well as the Spectrum Centre on the Shankill Road, on Monday the exhibition opened in Mossley Mill, Newtownabbey Borough Council’s Civic Centre off Carnmoney Road North beside Mossley railway halt. foster strong cultural, economic and political ties between Northern Ireland and Israel, to build a better understanding between the peoples of Northern Ireland and of Israel. 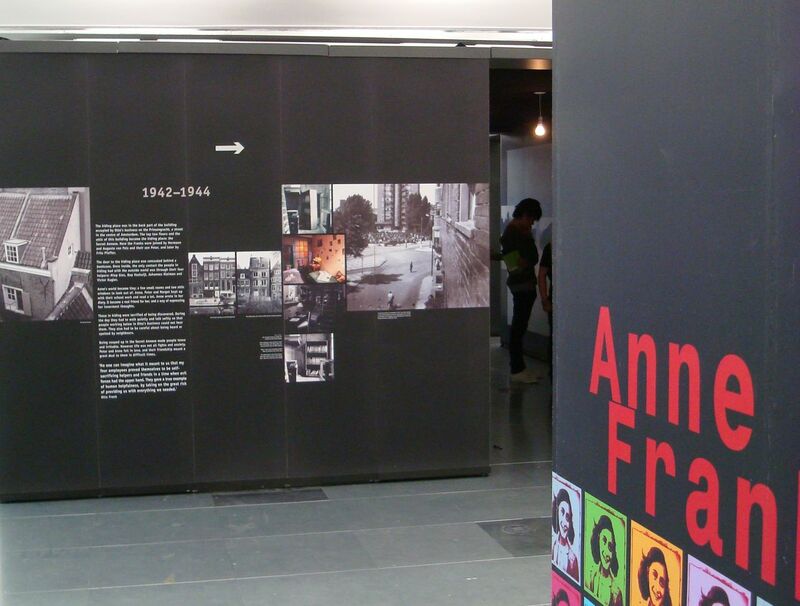 The exhibition on the third floor of Mossley Mill walks through the timeline of Anne Frank’s life and the Holocaust. There’s a near life size replica of her room in the secret Annexe. Having spent more than two years concealed, someone snitched and the eight Jews who had been hiding were arrested by the German and Dutch authorities. Anne died less than a year later in Bergen-Belsen concentration camp following a typhus epidemic. Of the eight, only her father – Otto Frank – survived to the end of the war. He published Anne’s diaries. 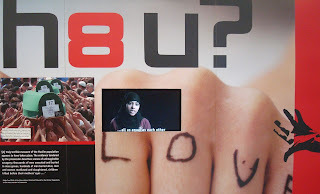 Political persecution and injustice – Tibetan protesters in London during the Olympic Torch relay; Muslim girls not being allowed to wear headscarves to school; Aung San Suu Kyi’s detention in Burma. 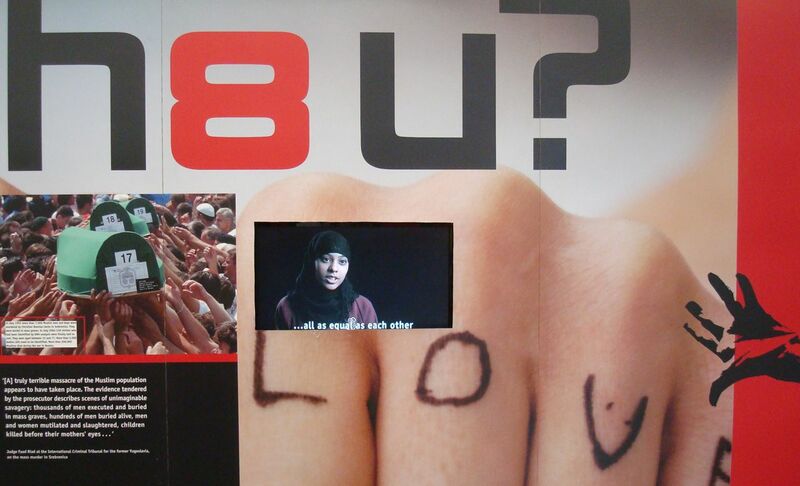 Racial abuse – with a video message from Ashley Cole; the murder of 18 year old Stephen Lawrence in 1993 by a gang of 5 or 6 white youths; 7,000 Muslim men and boys murdered by Christian Bosnian Serbs in Srebrenica. Indifference and responsibility – which looked at the Zimbabwean cricketers Andy Flower and Henry Olonga who chose to wear black armbands during the 2003 Cricket World Cup to “mourn the death of democracy in our beloved Zimbabwe” and who suffered the consequences. 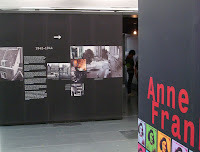 There’s also a short film (with a seated area) which provides greater detail about Anne Frank’s story than is covered on the exhibition posters. 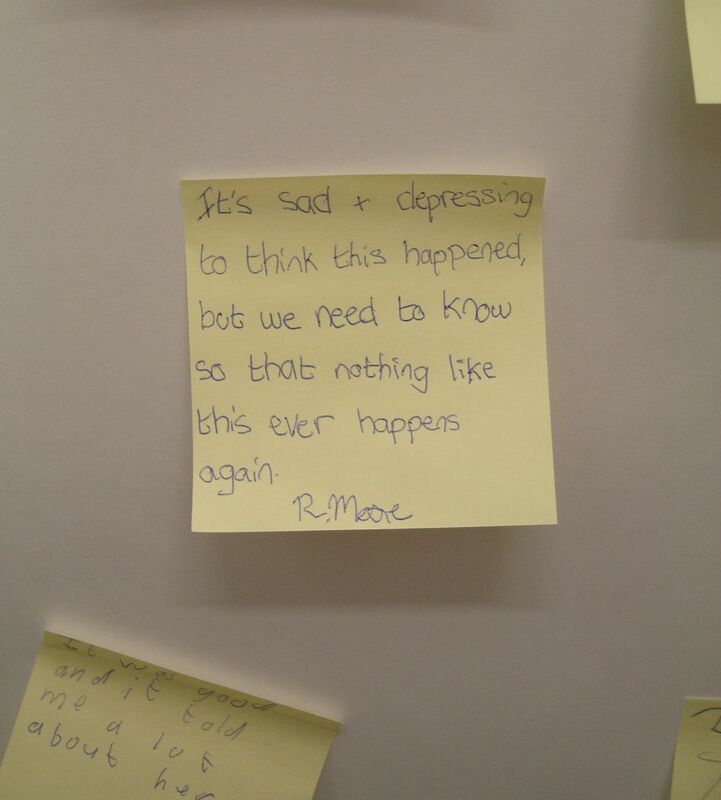 It’s very much aimed at teenage school children, though has plenty to say to adults too! 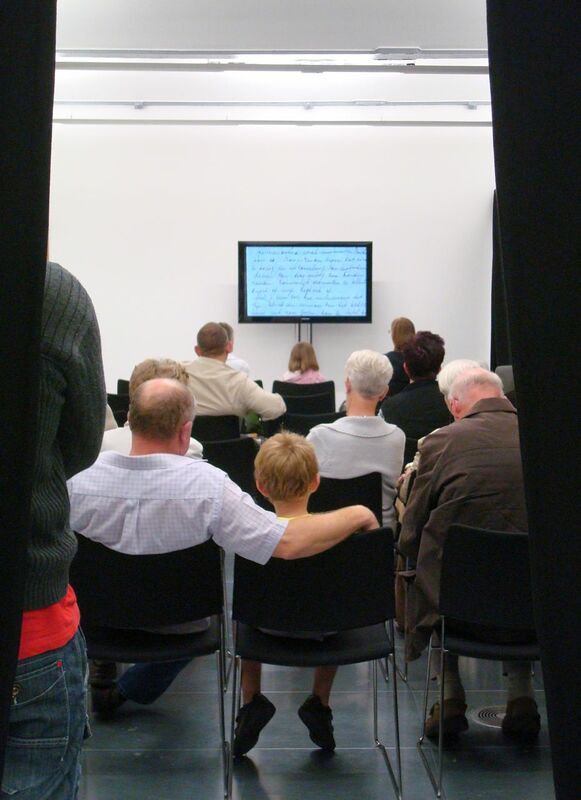 The exhibition is open Monday – Saturday in Mossley Mill until 29 September when it will transfer to Lisburn Library (3 – 30 October) before heading to Newry and possibly Enniskillen later in the year. Thanks so much for giving the event such warm support. It was an amazing turn out, all speakers eloquently summarised the importance of the exhibition and the need for exploration of its key messages. What an achievement it would be if we could cement this excellent work and move towards the establishment of a permanent Anne Frank Trust (UK) office in Northern Ireland. An exciting goal! "One summed it up well:"